Manga creator and illustrator Kazue Kato was born in Tokyo on July 20. In 2000, she won the prestigious Tezuka Award for her work Boku to Usagi (The Rabbit and Me) published in Akamaru Jump. From 2005 to 2006 her series Robo to Usakichi, a sci-fi adventure featuring a rabbit (again!) was published in the monthly magazine Shonen Sirius (Kodansha). 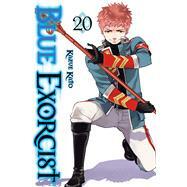 Her latest series, Blue Exorcist, began in Jump Square in April of 2009.